KUALA LUMPUR (REUTERS) - Military radar-tracking evidence suggests a Malaysia Airlines jetliner missing for nearly a week was deliberately flown across the Malay peninsula towards the Andaman Islands, sources familiar with the investigation told Reuters on Friday. Two sources said an unidentified aircraft that investigators believe was Flight MH370 was following a route between navigational waypoints - indicating it was being flown by someone with aviation training - when it was last plotted on military radar off the country's northwest coast. A third source familiar with the investigation said inquiries were focusing increasingly on the theory that someone who knew how to fly a plane deliberately diverted the flight, with 239 people on board, hundreds of miles off its intended course from Kuala Lumpur to Beijing. "What we can say is we are looking at sabotage, with hijack still on the cards," said that source, a senior Malaysian police official. All three sources declined to be identified because they were not authorised to speak to the media and due to the sensitivity of the investigation. Officials at Malaysia's Ministry of Transport, the official point of contact for information on the investigation, did not return calls seeking comment. The comments by the three sources are the first clear indication that foul play is the main focus of official suspicions in the Boeing 777's disappearance. In one of the most baffling mysteries in modern aviation, no trace of the plane nor any sign of wreckage has been found despite a search by the navies and military aircraft of more than a dozen countries. The last sighting of the aircraft on civilian radar screens came shortly before 1.30am Malaysian time last Saturday, less than an hour after it took off from Kuala Lumpur, as the plane flew northeast across the mouth of the Gulf of Thailand. That put the plane on Malaysia's east coast. Malaysia's air force chief said on Wednesday an aircraft that could have been the missing plane was plotted on military radar at 2.15am, 200 miles (320 km) northwest of Penang Island off Malaysia's west coast. This position marks the limit of Malaysia's military radar in that part of the country, a fourth source familiar with the investigation told Reuters. When asked about the range of military radar at a news conference on Thursday, Malaysian Transport Minister Hishammuddin Hussein said it was "a sensitive issue" that he was not going to reveal. "Even if it doesn't extend beyond that, we can get the cooperation of the neighbouring countries," he said. The fact that the aircraft - if it was MH370 - had lost contact with air traffic control and was invisible to civilian radar suggested someone aboard had turned its communication systems off, the first two sources said. 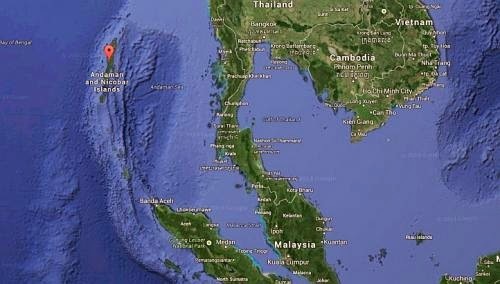 In a far more detailed description of the military radar plotting than has been publicly revealed, the first two sources said the last confirmed position of MH370 was at 35,000 feet about 90 miles (144 km) off the east coast of Malaysia, heading towards Vietnam, near a navigational waypoint called "Igari". The time was then 2.15am. That's the same time given by the air force chief on Wednesday, who gave no information on that plane's possible direction. The sources said Malaysia was requesting raw radar data from neighbours Thailand, Indonesia and India, which has a naval base in the Andaman Islands.